Manchester Parking - Compare Cheapest Deals Now! Why EzyBook for Manchester Airport Parking? The Manchester Airport is an international airport located in Manchester, England. It is Europe&apos;s 22nd most bustling and 3rd busiest airport of the United Kingdom, according to the passenger rate. The Manchester Airport provides flights for approximately 225 destinations worldwide. It contains three terminals and two runways, making it the only other runway after Heathrow Airport to have more than one runway which assists in the take offs of the various flights. Manchester Airport offers a vast range of parking alternatives for the passengers travelling with either children or families or those who might be carrying massive and heavy luggage, regardless of whether they are going on a vacation or a business trip. Manchester Airport parking deals are a reliable source of finding a perfect and easily approachable parking spot, without having to constantly search for them. Handling such an efficient and well grounded service may often be seen as an offer which can quite easily overburden the passenger&apos;s travel budget. However, if a person can compare Manchester Airport parking rates on Ezybook Airport Parking before making any reservations, they will be surprised to find out that it helps in avoiding the unnecessary problems, whole lot of effort and saves money. 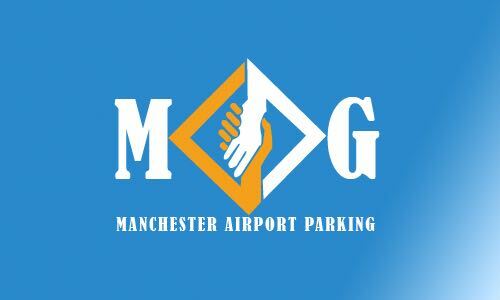 Meet and Greet Parking service at the Manchester Airport, offers the passengers with chauffeurs who meet them at the accurate terminal where they can conveniently pick the traveler’s car and take it to their car park for storage and later on the chauffeurs drops that same vehicle at the correct terminal. Booking the parking deals from our website beforehand, assures the travelers that they are being presented such deals from a group of exclusive parking providers. A comparison between the costs and the given services can be done by the traveler and whichever offer seems best for them, can be booked immediately. Parking their cars at the Manchester Airport provides the passengers with the much needed flexibility that their vehicle will be picked and dropped right from the terminal without the need of any shuttle service. With the help of Ezybook, the entire procedure of confirming the prices and the providers, has been made less time consuming and completely simple in order to present the customers with ease and comfort. "If you are busy finding the best car parking deals at the best prices then you are at right place!" This website&apos;s comparison service does all the work for you and assures you, that we always find affordable and exclusive airport parking deals for our customers and their long term parking vehicles at the Manchester Airport and it&apos;s all just a click away!